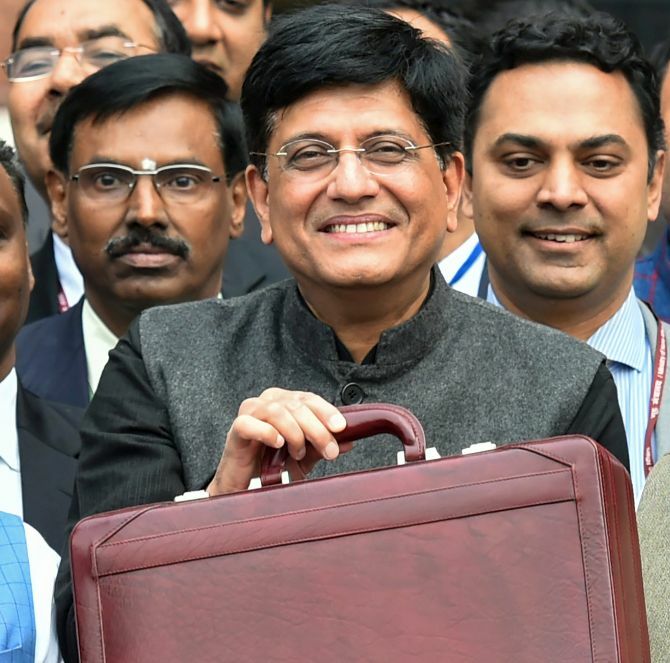 Tax expert Anil Rego answers readers' questions about how Finance Minister Piyush Goyal's Budget affects you. Q: Do you think the Interim Budget 2019 will win the 2019 Lok Sabha election for BJP? Ans: Yes’s. 6,000 per annum will be credited to farmer having less than 2 hectare farm land. Direct credit will be done in 3 instalments to farmers account. Ans: This is not tax exemption in the slab, this is actually tax rebate. Full Tax rebate up to 5 lakh annual income for all. This helps about 3 cr tax payers out of taxation. Currently those earning up to Rs 3.5 lakh a year are eligible for a tax rebate of Rs 2,500 under Section 87A. The budget has proposed to increase rebate Rs 12,500. Q: Hello Sir, Can you please answer my question? My increment is due. At present my gross salary is below Rs 5 lakh. And after increment if my gross salary goes to say Rs 5, 50,000 should I accept it? Will I be getting less money in my hand due to this new budget? What shall I tell my HR? Q: What is the tax implication if my income is above 5 lacs? Will the 5 lac tax free income liable to me? Q: If my gross income is 750000, what will be the implication for me, if I invest Rs 150000/- in PPF? Q: Explain 5 lakh rebate funda of Interim budget in detail? Q: Hi Sir, Do we get tax benefit on the 2nd property owned? How will it work? What will be the tax rollover on two properties owned? Q: My uncle is farmer do Rs.6000 received from govt is taxable? Q: Dear Mr Rego, why no government has been able to increase the income tax base? I believe only 5 crore people pay tax out of India's population of 125 crore. Why? Q: Dear Sir, Can my father claim exemption for the LIC premium paid for my policy? BTW I am aged 36 now, married & employed. Q: Hello Sir, I read a report in Economic times that if you earn Rs 7.75 lakh per year and invest properly then you will pay zero tax. Is it true? Q: Dear Sir, in my company while considering our investments for 80C they didn’t consider GST paid on LIC premium. Why is it so? What should we do? Q: Dear Mr Rego, If I am staying on rent in Mumbai and I have my own house in Baroda for which I have taken a home loan. Will I get income tax rebate on my home loan? Q: Dear Mr Rego, My son is 22 year old. He has started working for a year now. Do you think I must file his Income Tax return? His salary is only Rs 20,000 per month. Does it help for him to file Income Tax return? Q: Is there any tax benefit if I pay School Fees of my child (only 1) and if yes, is there any limit? Q: Dear Mr Rego, I earn salary which is above Rs 15 lakh. And I have another Rs 20 lakh in my fix deposit to which I pay additional tax. My spouse is a housewife and has no income. Now if I transfer my Rs 20 lakh in her bank account and put in fix by becoming a joint holder. Will I still have to pay tax on that Rs 20 lakh?